Students and staff gathered in the school hall today where Ms Boland’s Music Group treated us to a wonderful performance! 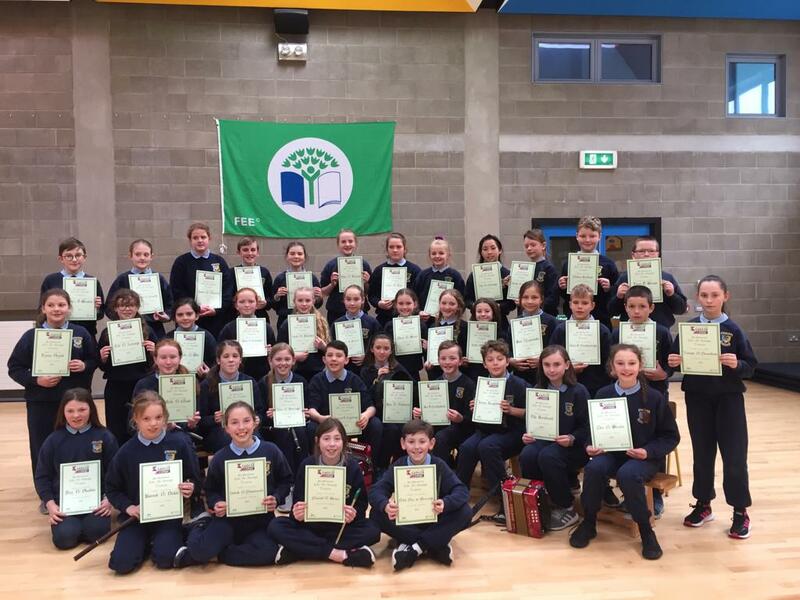 This group have had an extremely successful year, winning the CBS Concert Band Schools Competition last November and also taking first place in the Slua Amhránaíocht competition during Féile an Aonaigh. They played and sang songs for us and everyone thoroughly enjoyed the performance. Well done to Ms Boland and the pupils for all their hard work! Previous 5th & 6th Class School Tour! Next School Tour 2nd Class!